The points that follow on SEO for small business are drawn from a blog post and coinciding YouTube video from Google’s own Matt Cutts. 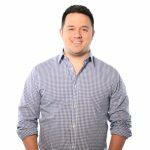 We’ve expanded on these thoughts from our own experience and have provided what we believe are several simple but important tips that all small businesses can incorporate into their SEO campaigns. While this may not strike people as the first thing to do when developing an SEO strategy, it is an extremely important step to take. 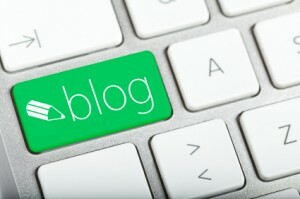 Blogs help provide content about you and your business and give people seeking the types of products or services you provide more opportunities to be connected with you on the internet through searches. Blogs don’t have to be full of incredibly eloquent words or captivating stories, although that could be interesting depending what you’re into. But generally, business blogs can be quite simple. As long as they are on topic, keyword-rich and somewhat creative, blog posts will quickly give your small business a leg up when it comes to SEO. Why focus on these things? Well, plain and simple: because they matter to Google! These are some of the first snippets of content that searchers will be presented with when they browse Google SERPs. So, you’ll want to make sure that these are relevant, easy to read and that they can catch people’s attention. Digg and StumbleUpon are a couple places you can check out to help you get started on this one. Your strategy for SEO for small business will be boosted when you make an effort to make a name for yourself online. One way to do this is by getting involved with already on-going conversations that have to do with your industry. You can do this on any social media platforms that you feel are applicable to your business. Try Facebook, Twitter, Instagram, Vine, LinkedIn, Google+ and others! Obviously, this means your business will need to have profiles on those networks so, if you don’t have a Facebook page, a Twitter account, etc. you’ll probably want to create those asap. PPC (pay per click) is a form of paid advertising that Google offers and while it may be advantageous for certain businesses to take advantage of PPC from time to time, we do not often recommend it as a first step for SEO for small business success. Focus on first building out a solid organic SEO campaign and then ask a qualified SEO consultant about the value of PPC for your business.